Staying clean is our business. At IET, we tailor remedial designs for each site because we realize every site is different. There is no such thing as a calculator where you enter in an area and concentration and receive a solution. We take the time to review historical site data in order to understand the best approach to clean it up. Our experience includes but is not limited to the remediation of sites containing chlorinated ethanes and ethenes, petroleum hydrocarbons (BTEX), heavy metals and more. IET delivers a two step oxidative approach for the remediation of petroleum hydrocarbon contamination. 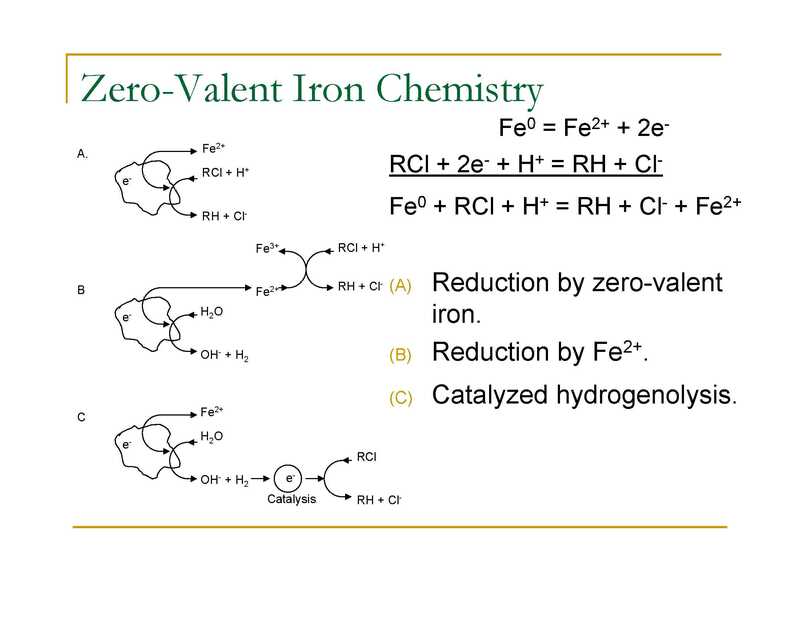 The initial oxidation step utilizes a modified Fenton’s chemistry to rapidly decrease LNAPL concentrations through the use of Hydroxyl and Sulfate free radical oxidation. 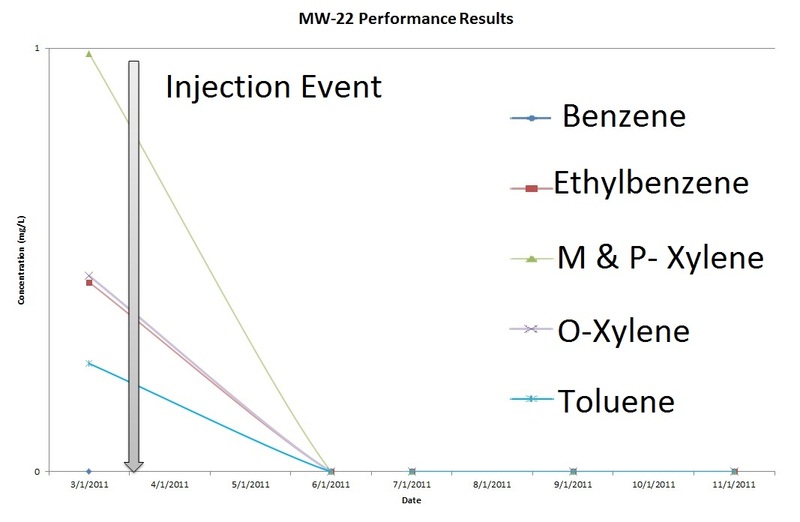 The second portion of the remedial program promotes biological mineralization of residual petroleum compounds. The Fenton’s Reagent Oxidation Process is an innovative in-situ and/or ex-situ treatment technology for remediating soil and groundwater contaminated with organic compounds. 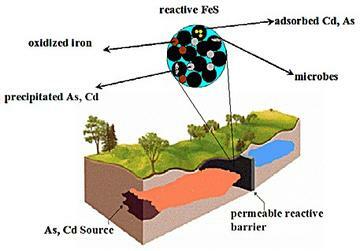 Remediation occurs by injecting a strong chemical oxidizer, such as a reagent mixture consisting of hydrogen peroxide, sodium persulfate, and ferrous iron (a catalyst). The principal active component of the reaction is the hydroxyl free radical (OH), which is produced by catalytic chemical reaction between hydrogen peroxide and ferrous iron under an optimum pH condition. The hydroxyl free radical produced cleaves and oxidizes organic compounds non-selectively that result in forming successively smaller chained hydrocarbon compounds. The intermediate compounds formed are generally mono- and di-carboxyl acids, which are non-hazardous, naturally occurring substances easily oxidized to carbon dioxide and water (a complete mineralization) during subsequent sequential reactions. The cleaving of organic compounds does not and will not produce any volatile organic compounds that can be released to the atmosphere jeopardizing the environment quality. The remediation of chlorinated ethenes and ethanes is possible through both abiotic and biotic pathways. 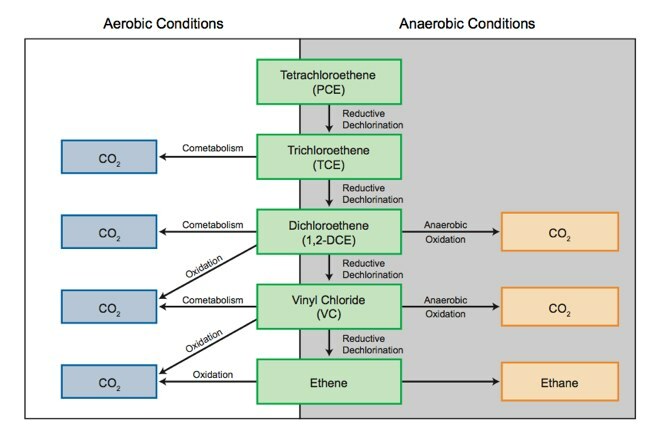 Depending on the preexisting geochemical conditions, either an aerobic or anerobic design is created for the specific type of chlorinated contamination. Typically, IET utilizes a reductive approach that delivers a specific ZVI particle size in order to abiotically reduce chlorinated concentrations. Once the abiotic portion of the program is exhausted, a biological driven remediation process is promoted in order to continually degrade CVOC concentrations. Bacteria present in soil and groundwater utilize a variety of natural electron acceptors. The use of these final electron acceptors is dependent on their availability and energy transfer efficiency. IET promotes strong reducing conditions in the subsurface with our in-house product blends in order to utilize both ferric iron and sulfate reductive processes. The dechlorination of CVOC’s and daughter products is more effective at stronger reducing conditions where these reductive pathways are prominent. Heavy metals contamination is a concern because of their ability to adversely affect human health. IET has experience and success designing remedial solutions for sites contaminated with heavy metals. Typical metals of concern include: Cu, Zn, Pb, Cd, Ni, Cr, and As. Chlorobenzene contamination can come from a variety of agricultural and chemical production sources. It is typically used as an intermediate in the manufacture of other organic chemicals, dyes and insecticides.